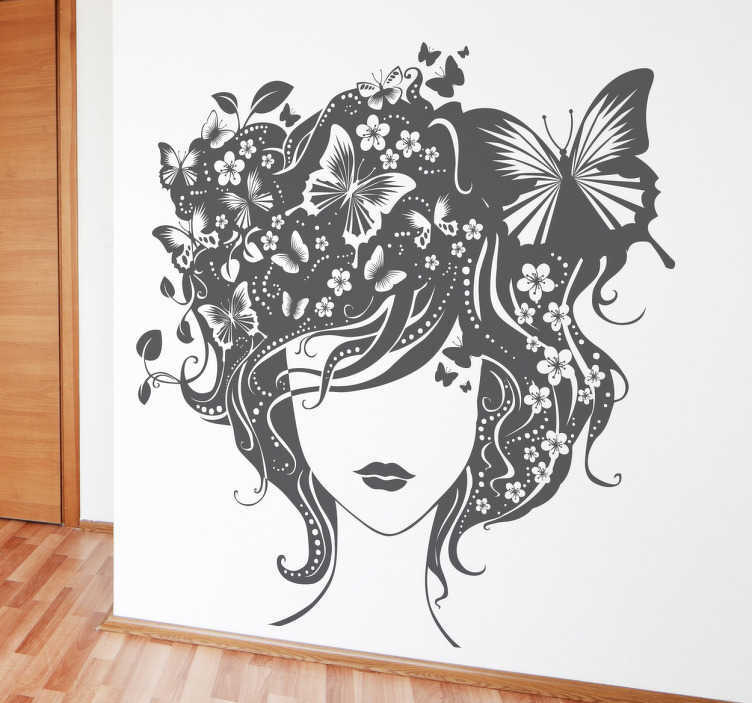 Decals - Detailed illustration of a young woman with curly hair fused with flowers, plants and butterflies. Distinctive and elegant designs ideal for decorating any room, but also perfect for decorating the windows and walls of health and beauty businesses such as a hairdresser. Original floral design available in various sizes. Made from high quality vinyl. Easy to apply and easily removable.